The city says the Bronx building where a deadly fire broke out should have been fitted with self-closing fire doors, but investigators cannot tell whether the building was compliant because the door was completely charred. Chris Glorioso reports. 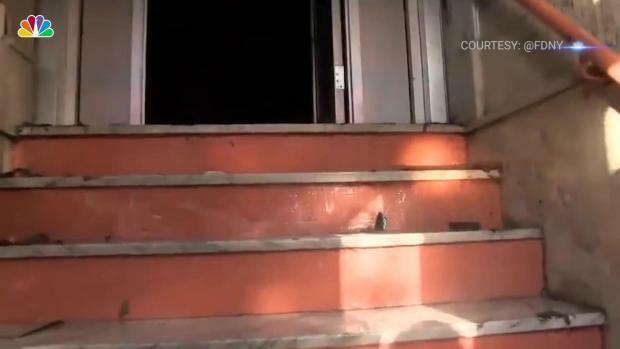 A self-closing fire-resistant door should have blocked flames from leaving the first-floor apartment where a deadly Bronx inferno began Thursday night. But investigators haven't been able to determine if the landlord equipped the unit with the proper type of door, because the fire damage is so extensive. "Yes, self-closing and fireproof doors are required at this building," said Matthew Creegan, a spokesman for the NYC Department of Housing Preservation and Development. But he added that even fire-rated doors can be left ineffective by apartment occupants. 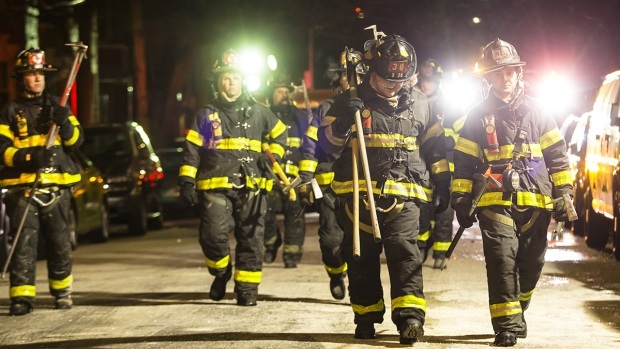 "Because of damage caused by the fire, it’s unclear if the unit had such a door and/or if there was an obstruction that prevented it from closing as the family fled," Creegan wrote in an email to NBC 4 New York. The FDNY has released this shocking footage touring the charred and blackened remains of the Bronx apartment that was the site of a deadly fire Thursday. The law requires all multiple dwellings with more than three apartments to have self-closing doors in building hallways. A representative for the building owner, D&A Equities, said the landlord is cooperating with city investigators. But the representative has yet to indicate whether the building was equipped with the proper type of self-closing fire doors. The fire that consumed the five-story walk-up in the Bronx Thursday night started in a first-floor apartment, but it quickly moved through an open door and to a stairwell, where the flames were sucked upward “like a chimney,” FDNY Commissioner Daniel Nigro said. From there, the flames and smoke tunneled up the stairwell, scorching all five floors of the building and leaving a death toll not seen in the city in decades. Many of the dead were people who tried to run down the stairwell, Nigro said. This fact is frustrating to fire safety experts like Glenn Corbett, of John Jay College, who says stairwells in older buildings should be better protected against flames and smoke. Corbett says special fire walls can give residents hours, not minutes, to get out of burning buildings. 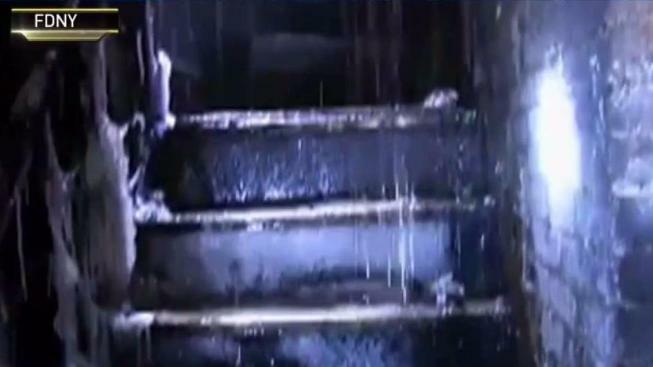 He says New Jersey passed a law years ago requiring buildings to fireproof older stairwells. “That retrofit law has actually saved lives over the years, because we don’t have as much of an issue with open stairwells in larger apartment buildings in New Jersey,” Corbett said. But in New York City, older buildings are exempt from the rules requiring fire-proof stairwells. Despite the value of modern fire suppression measures, fire safety experts say some of the responsibility falls on the shoulders of residents. While closed fire-proof doors may stop the spread of flames for up to 90 minutes, all it takes is someone propping the door open to render it useless.